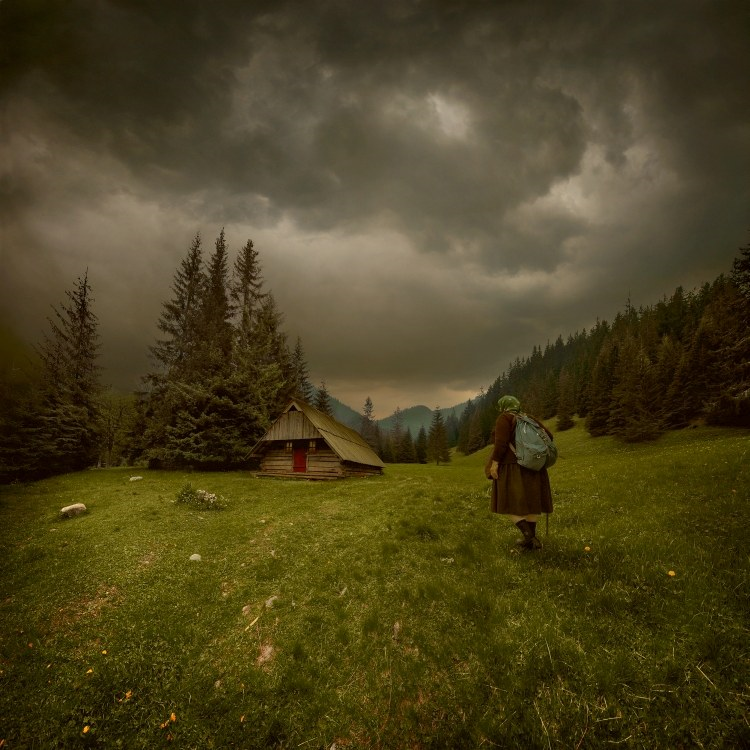 This weeks Tiny House in a Landscape looks like a stormy day in the mountains in a European country. A peaceful setting and an old very unique cabin structure in the woods. Historically log construction has its roots in Scandinavia and Eastern Europe. Although their origin is uncertain, the first log structures were probably built in Northern Europe in the Bronze Age (about 3500 BC). By the time Europeans began to settle in North America, they had a long tradition of using logs for houses, barns, and other outbuildings in the Scandinavian countries, Germany, Northern Russia and Ukraine. Great Scott! That picture is amazing! I want to live the rest of my life there starting now. Absolutely gorgeous. Looks like Baba Yaga and her hut! Oh wait, it’s not on chicken legs.